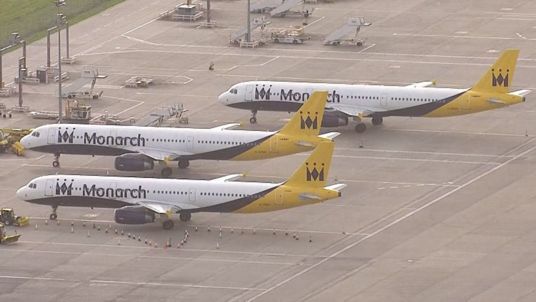 Ministers are to consider reforms which will mean failed airlines such as Monarch can "wind down in an orderly manner", Transport Secretary Chris Grayling has told MPs. It comes after a £60m operation to help repatriate some of the 110,000 customers stranded abroad by the collapse of the carrier, an effort partly funded by the Government. Mr Grayling said 80,000 people had now been brought back to the UK in the operation - organised by the Civil Aviation Authority (CAA). The airline's collapse also saw 750,000 who had yet to travel lose their bookings. Mr Grayling told the Commons that the Government would examine any necessary reforms to ensure passengers "do not find themselves in this position again". He added: "We need to look at all the options… whether it's possible for airlines to be able to wind down in an orderly manner and look after their customers themselves without the need for the Government to step in. "We'll be putting a lot of effort into this in the months ahead."